Do store archives in a secure facility/rooms with controlled access via archive manager or company archivist. Dotry and keep archive store at stable temperature and humidity levels (within a range of 13°C 19°C and 45% 60% respectively, for paper and parchment material). Do install fire detection in the archive store, and have either fire suppression systems or a rapid response from the fire brigade. Do have spare capacity, or contingency storage for new material in your archive store. Dont expose archives to undue risk keep away from cups of coffee, scissors, staplers, sticky labels or tape, and other office hazards! Dont write on archives unless using a soft pencil when cataloguing items with unique reference numbers. Dont break up archives either by removing papers from files, cutting out sections, re-arranging internal file make-up, as these actions will affect the historical integrity of the record. Dont break up archive collections (where possible) as this may affect the historical integrity of your archive. Dont lend archives to third parties unless you are sure they will treat them with care, and return them in one piece! 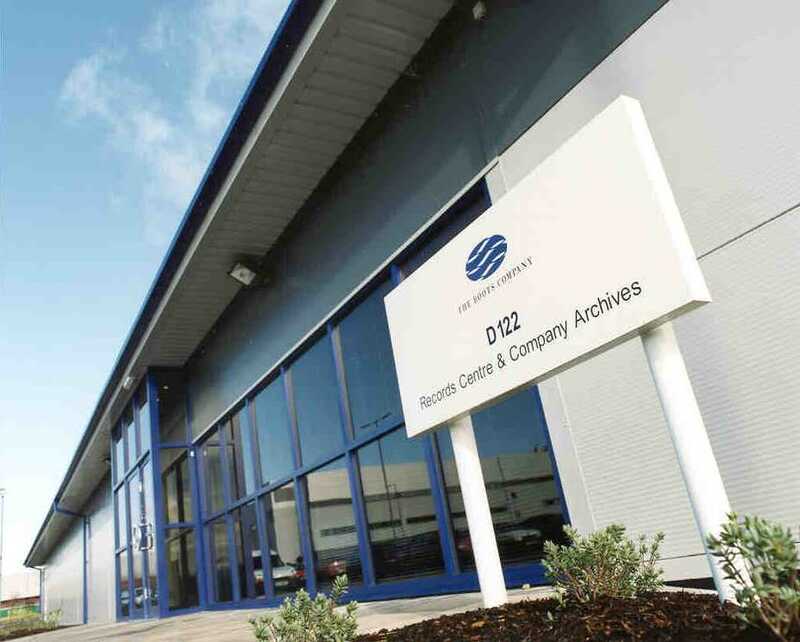 Ideally disparate collections of records (from multi-sites or buildings) should be co-located in a purpose-built archive repository either in a stand-alone facility or within existing office accommodation. The latter is more accessible for company employees wanting to use the resource. Boots record centre. Image courtesy of Boots UK.